Anchor Safety Inc. provides fire safety consultations and products, dedicated to keeping you and your facilities safe. Our scope of products includes extinguishers, fire suppression systems, clean agent systems, fire and exit signage, and more. We’re adept at identifying and meeting the fire safety needs of homes, offices, labs, restaurants and industrial facilities, among others. Fire safety systems are a core component of any facility and are absolutely vital in making sure the building and everyone within it stay safe in the event of a fire. If your building isn’t up to code or lacks adequate fire suppression systems in Longview, TX, you’re putting everything at unnecessary risk. Anchor Safety Inc. will make sure your premises are thoroughly evaluated, and we can recommend the fire suppression and extinguisher solutions you need for complete peace of mind. 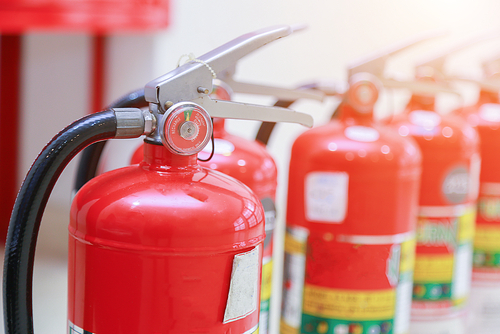 With more than 50 years of cumulative experience across our staff and in-depth knowledge of the fire safety industry, we’ll gladly provide you with extinguisher units, suppression systems, clean agent systems and fire sprinkler systems in Longview, TX. With trusted brands like Amerex, Ansul and Kidde behind us, our team takes the time to thoroughly vet the fire safety systems needs of your facilities to the fullest. Whether you require the waterless protection of a clean agent system or require specialized Class D extinguishers for combustible metal fires, our team will furnish you with exactly what you need to combat fire hazards effectively. And, thanks to our many years of industry research and fire extinguisher sales in Longview, TX, we’ll continue to help you stay on top of your fire systems as they grow and evolve. Don’t leave your facilities open to the threat of fire—let us make sure you’re protected fully and completely. We’re your complete fire suppression systems experts, offering sales, service and installation for customers of all types. Our business has been around since 1990 and is staffed with industry experts who have more than 50 years of cumulative experience. Our business is fully licensed in Texas, Louisiana and Oklahoma, with locations in Longview and Tyler, TX. We offer free estimates and fire safety consultations, so you’re able to get the information you need upfront, from trusted experts. We’re members of the National Association of Fire Extinguisher Distributors (NAFED) and the Fire Extinguisher Distributors of Texas (FEDOT). Get the fire extinguisher and suppression system products you need to protect your facilities, backed by expert sales and a service. Contact Anchor Safety Inc. today for a free consultation.